A few choice people have been seeing a new tab on their YouTube app labeled “Explore”. It is easy to extrapolate from the name alone that this tab is meant to be a content discovery platform that would allow you to find new creators as well as videos based on your personal content consumption history. 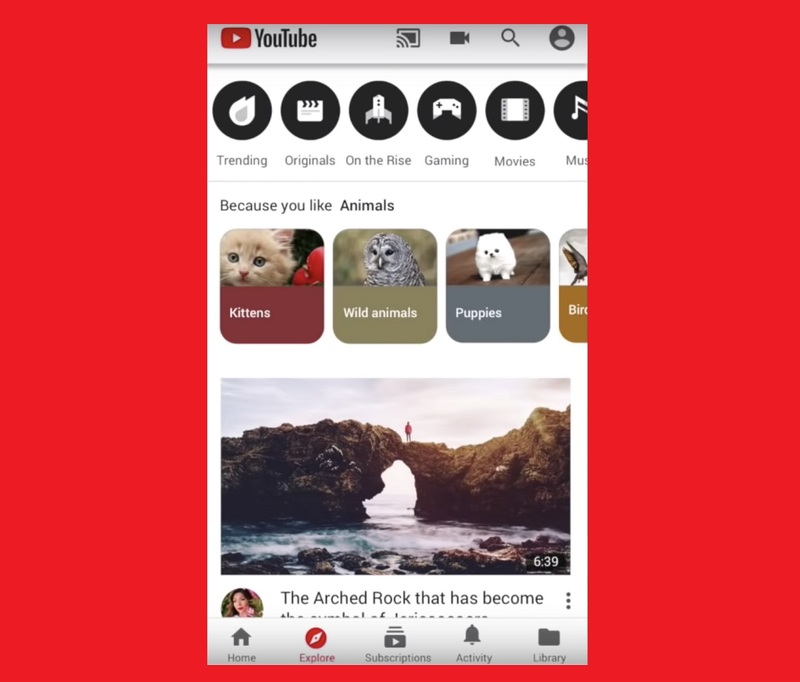 This tab is only visible to a few people right now because of the fact that YouTube is currently testing the feature out and wanted to make sure that it was stable before expanding its user base. It seems like the initial testing phase went fairly well because of the fact that the feature is now being made available to a wider variety of users. The explore tab seems in a lot of ways to be a replacement for the trending tab, and oft reviled feature of YouTube that the video streaming platform seems to finally be stepping away from. It seems to be taking quite a few cues from Instagram’s own explore feature, although it’s fair to say that YouTube’s rendition of this sort of feature is going to be different because of the fact that it will feature a lot more long form videos. One great aspect of this feature has to do with the fact that it is really going to help content creators to make the most of the kind of content that they have been working on because of the fact that more people will be able to discover them and the work that they have been doing over the past few years. Content creators desperately needed some help from YouTube in order to get discovered, and it seems like the “Explore” tab is the answer to all of their prayers.